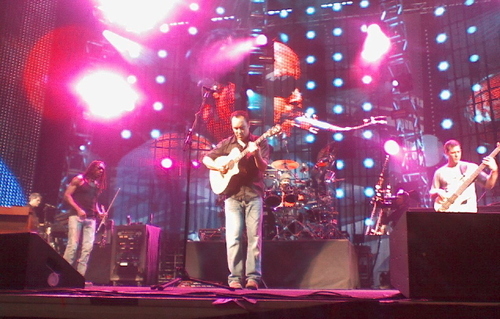 8/4-8/5: DMB in Hartford, Ct. 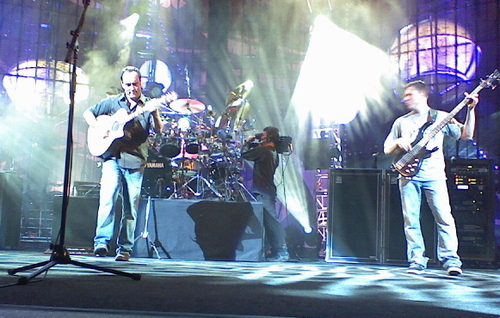 So if you haven’t picked up on it yet, I’m a bit of a DMB fan, and over the years I’ve been to just a few shows ;-). Sifting through my old stubs (because of course who doesn’t keep them) it looks like the first time I was at the Meadows Music Theater (as it was called back then) in good ‘ole Hartford, Ct. was August 1, 1998. The price of my tix was $29.00 and my seat was section 800, row KK, seat 825. 9 years and a little inflation later, I’ve gone from pretty much the last row in the pavilion to the press pit. Not bad, I tell ya! I know lots of people moan and groan about this little venue in downtown Hartford…the crowds, the crazy parking lots (yup, been a victim of some smashed car windows myself…well, not my car, but I will protect the name of the innocent), etc., swearing they’ll never go back. Friends who I’ve gone up there with in the past look at me like I’m crazy for continuing to make the trip. 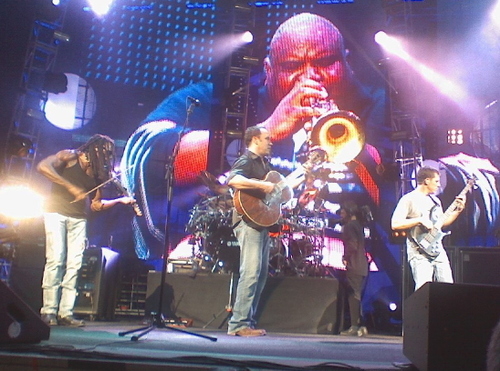 Bottom line, if DMB is within driving distance, I’m going! And truth be told, once you get passed the mayhem outside the venue and are hopefully not sitting next to a puker or screecher, you’ll realize that the acoustics alone make it one of the best amphitheaters on the northeast coast, and I’ve seen some really stand-out shows there over the years. 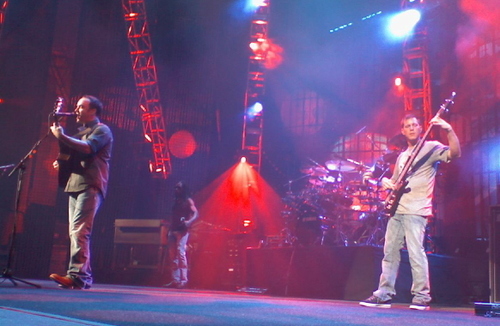 Lucky for me, Billboard was able to indulge me one last time with a press pass for my favorite band…whoohoo!! I'm just going to keep telling myself that he's smiling at me. Ok, so really what more can I say about how incredible I think these guys are?? Wellllll……probably a lot, but I’ll try to spare you the repetition of my praises. With the exception of mentioning a few highlights, this time I’m going to let the pictures do most of the talking. Hopefully I’ve managed to turn some of you naysayers onto DMB and/or motivated some of you “I’ve outgrown them” ex-fans to dust off your old discs. 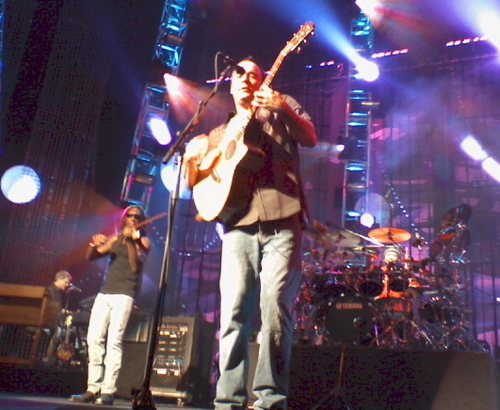 And for my family members who still question how one night can possibly be different from the next, hopefully I’ve somewhat convinced you that seeing a gazillion DMB shows is really not the same as watching the same movie over and over…and over again. For the rest of you tried and true fans like myself, hopefully I’ve done the guys justice and helped get you excited for your own hometown shows! Is it too greedy of me to say that I’m jealous of all you west coasters!?!? So here we go…just a few highlights that perhaps haven’t been mentioned from other shows, and then I promise I’ll shut up. UGH, so hard to limit! N1: Loved the “Best of What’s Around” (a.k.a. BOWA) opener! Haven’t heard it in a while, and it always sets the mood for a happy, fun-loving show. 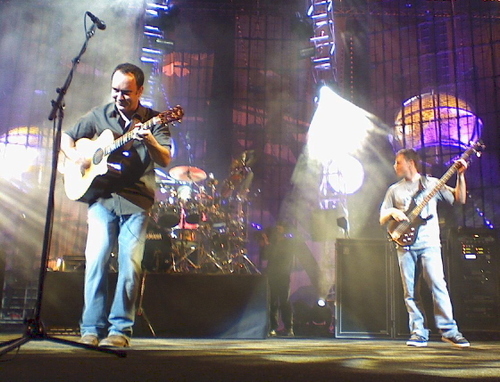 Plus, one of my favorite DMB lines is in there: “Turns out not where but who you’re with that really matters.” Words to live by! 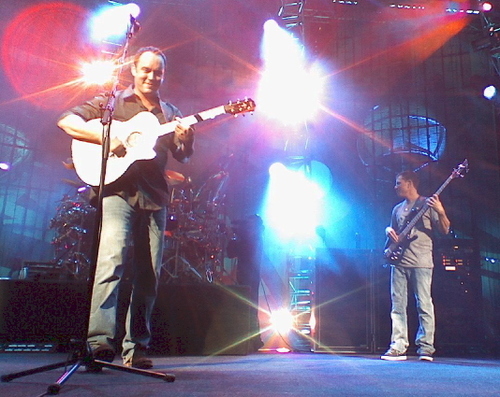 “Hunger For The Great Light” is one of my favorites, especially the ending when Dave really gets into it and then whips around when it’s over to give Carter a fist pump. Just shows how much effort and energy these guys put into the shows. “#41” is always amazing! N2: Xavier Rudd on “Bartender” was great, and then “Dancing Nancies” into “Warehouse” is always a favorite of mine. I wasn’t initially a fan of the “woo’s” but when you see how happy Stefan gets leading the crowd it’s impossible not to join in. The obvious highlight, at least for me, was “American Baby Intro” into “Watchtower.” I mean, to say Dave can yell and somehow make it sound beautiful is an understatement! Can’t not give huge props to my go-to concert buddy Betsy, who has proven over the past week that she has not only mastered the northeast public transportation system but that she will take bus, train or whatever all in the name of DMB. Oh, and that she WILL find me whether it be within a hoard of fans or random parking lots outside the venues. That drumstick was well deserved, my friend! Vic and Tommy…you’re the best! This is a good gig huh? And great pics! I see i'm rubbin' off on you. 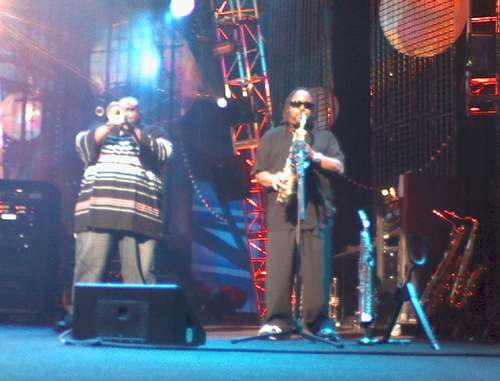 Great review... i was at these 2 shows and they were spectacular, thanks alot for the pictures. 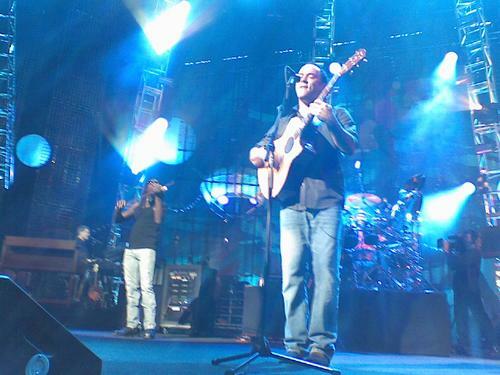 Great pics, thanks for MORE DMB!!!! Leslie, Dave is DEFINITELY smiling at you in that picture!!!! Great pictures, great blog!! I agree, Hartford is total chaos, but you have to keep going back year after year!! 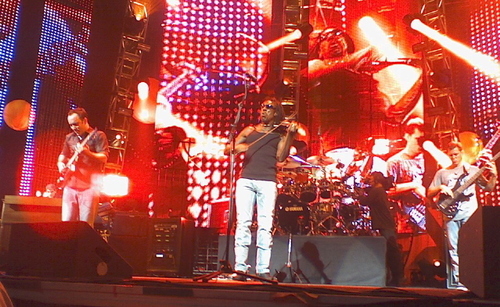 I have to admit, I've never listened to DMB--which selections do you suggest I listen to first? What an amazing show that you saw. 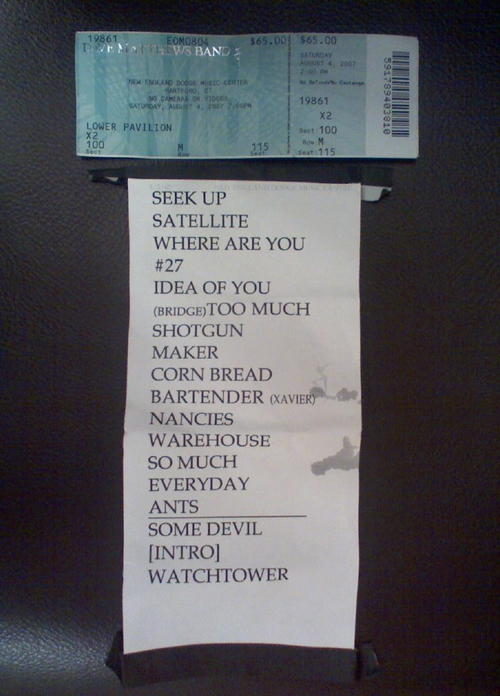 I hope to see just 1 show with that great of a setlist all summer. Thanks again for your write up and pictures. I think there may have been some glances down at you in some of those photos! Thanks for sharing. 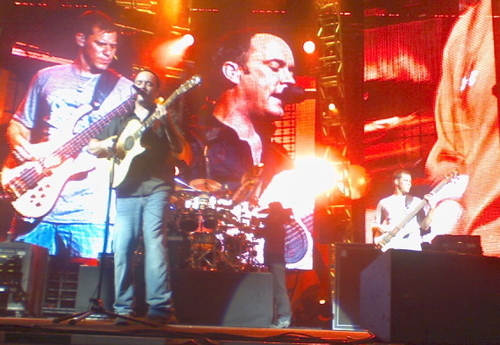 Always love reading about DMB! 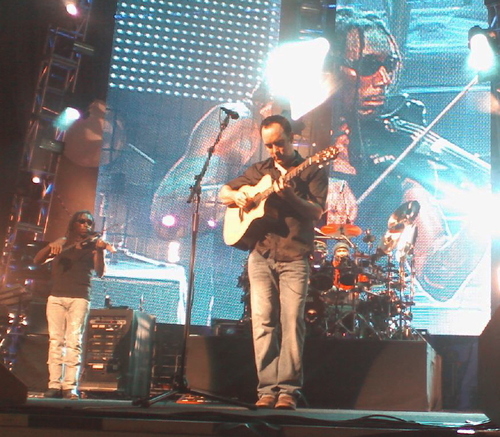 I am so happy for you that you got to be so close to DMB....great pics!!!! I think he's smiling at you, too :-) These are awesome pictures, Leslie. You took these with a camera phone??? What an amazing review and fantastic pics! Fabulous pics Leslie! I can't wait to see the Black Crowes write up! Good to (sort of :-)) see you last night! great pics! love your reviews! WOW! what pics from a little digital phone, these are your best yet. Must be great being that up close. Yup, he is most definitely smiling right at you! Sounds like you had another awesome evening! Congrats! Holy close up. Its like you are sitting in his lap. Great pics! Leslie....WOW. I am beyond jealous of you and these reviews just keep getting better and better!! Ive said it before...but you are one LUCKY GIRL! Cant wait to see you in a few days!! Leslie - once again your blog captures the night. You are right....great pictures! I am actually starting to get jealous of your summer job. 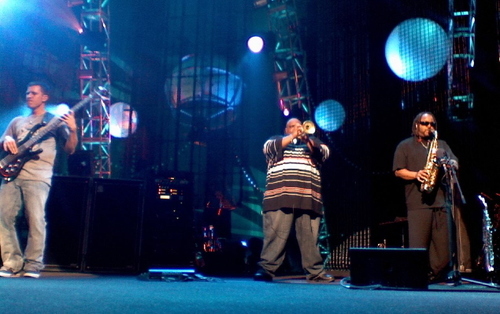 Great pics...I never knew concert going could be such a great hobby! 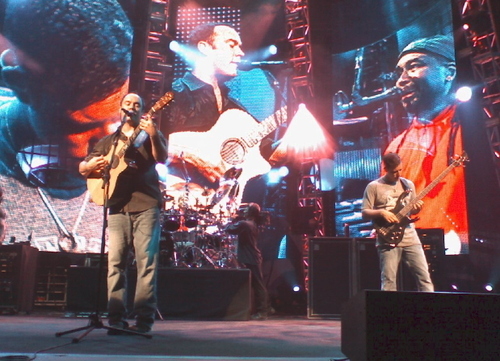 What are your top 10 DMB songs? 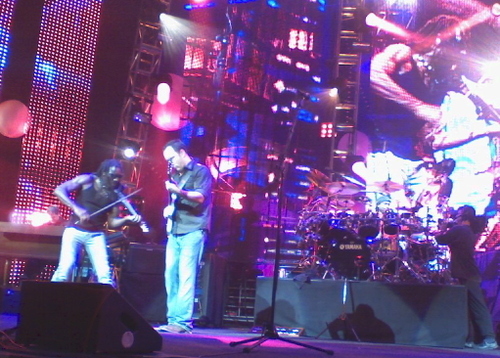 So, how many shows has it been this year for DMB and how many more are you going too? He is so looking at you...and only you :)! Your pictures are incredible! Looks like a great time. 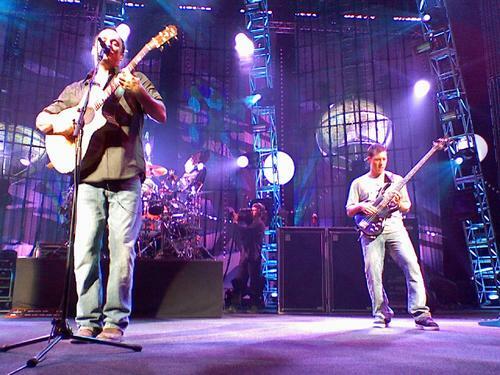 How many of your friends have you converted to DMB fans?